Tom Cash medley of private party songs. I always get my guests up and dancing) Fun 50's, 60's, 70's, 80's, 90's, and current pop, country music & rock. Most diverse song list on Gigsalad. Tom Cash is a solo act that sings and plays acoustic guitar. Tom Cash also can sing with backing tracks to give a full band sound. Perfect for the Wedding Ceremony, Cocktail hour, Reception, private parties, at your home or anywhere. Tom Cash is known for delivering songs people know and love. Ceremony, cocktail hour & reception services available live performance or emcee/DJ services. Tom went out of his way to help and accommodate our wedding. Would highly recommend him for any type of event! Tom is a very talented guy! Tom worked with us every step of the way. No ego issues at all! Tom's singing along with the songs added a live dimension to the DJ performance. Nothing but positive comments from the guests. Dance floor packed all night! Great entertainment perfect player made perfect evening for all. DJ that made me even dance! This guy is amazing. I didn't stress once, even though other stuff was falling apart. Before wedding, he was very responsive and easy to work with. During the wedding, He was very flexible and smooth (added last min changes and requests) Helped cover up when the caterer messed up. Had energy. I hate dancing...hate it so much. But I danced about the whole night. How good he is. I definitely recommend him. And it's a good deal. He had a great selection of music. Good at getting people on the dance floor. He is very friendly and open to music requests. Fantastic performer who truly engages his audience! Tom was fantastic at our recent Christmas party! He read the crowd perfectly knowing exactly when to kick it up a notch. His combination of singing and DJ playing at the end of the night was a huge hit for our guests...people were on our makeshift dance floor the entire time! He even went longer than our contracted time and was extremely accomodating the entire night. I am so glad I found him and cannot wait to use him at a future event! Tom Cash is a DJ AND a musician! A college of Music graduate and a true professional entertainer. Besides his ability to entertain using DJ techniques, Tom has wowed audiences with his vocal & guitar performance. Versatility and the ability to 'read the crowd', combined with his innate talent make Tom the perfect performer for your important wedding or private affair. Having studied music since age 12, Tom Cash has been performing and DJing Weddings & Private parties throughout Illinois & Wisconsin. Your unique ideas and requests are what is most important. Your event will be customized and personalized in ways only a DJ seamlessly combined with a band can achieve. Tom takes great strides to insure your important day is better than you had ever imagined. 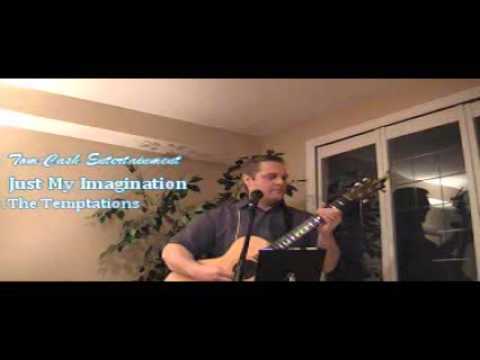 Tom is an upscale entertainer integrating DJ skills, Guitar and professional vocal/emcee work. All your guests will dance when Tom is DJing or live performing. You will receive praise on your excellent choice in music. Book Tom Cash for your next important event! Please contact me to discuss my various package options and arrange a consultation. Odyssey Cruises Chicago, The Morton Arboretum Lisle and many more. We are so happy that Tom was a significant part of our wedding reception. He is a tremendously talented artist and was a pleasure to work with before, during and after our reception. Tom provided live singing (accompanied by his acoustic guitar) during our cocktail hour...He created a wonderful ambience that our guest really enjoyed. During our reception, Tom was also our D.J…he did a fabulous job introducing our wedding party, keeping our reception activities running smoothly, and creating an fun & energetic dance floor throughout the evening. We are proud to recommend Tom, and we are grateful that he was able to share his talents with us! Thanks Tom! Tom went above and beyond everything that was asked from him and I received countless compliments on him during and after the wedding. My mom has already recommended him to three couples for their weddings since mine in June and I'm excited for them if they decide to use him. 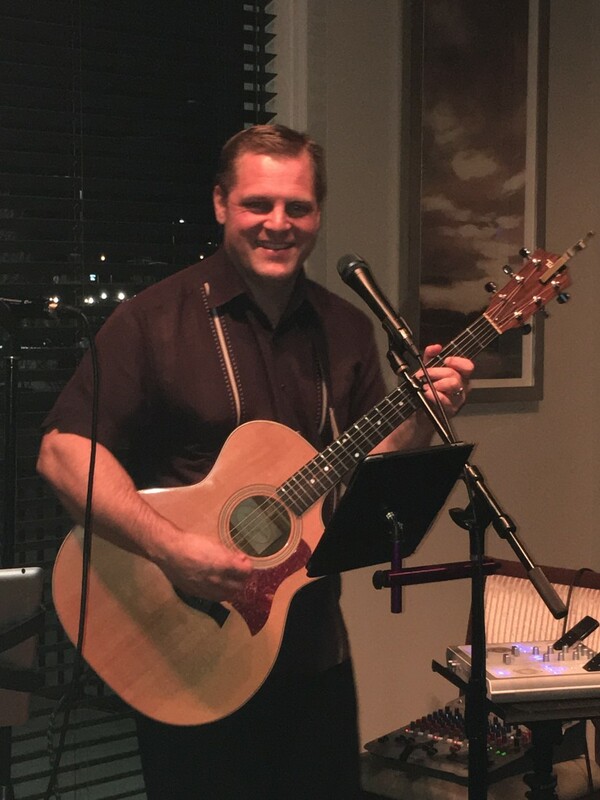 He's the complete package - DJ, emcee, and wedding singer, but you'd never know it was just him and his guitar when he plays. He has the background music playing along with him and I don't even know how many times I looked up at him thinking how much I love the song that was on and was surprised to see it was him singing it, it was that good. I really don't have enough good things to say about Tom and I would recommend him a million times over! Tom did a one-man show for a wedding rehearsal dinner for about 40 people and it was a total 5-star show. We were impressed with the music selection (appeal to all) as well as his ability to gauge the volume to the room. It was absolutely great. This site does not even come close to sounding as great as his actual show. Also, Tom looked and behaved totally professional, was courteous and accommodating to all our guests. My son and daughter-in-law were totally enchanted. Most guests asked for his card to book their own future party. I truly believe that Tom Cash was the crowning touch to our wedding reception. Our wedding was small and intimate with only 40 of our closest friends and select family members. The reception was an elegant cocktail party at best, we gave Mr. Cash the freedom to read the crowd and determine the type and pace of the entertainment. Judging by the compliments that we received the following week about the musician, all we satisfied and impressed. We would recommend Tom and to anyone looking to make their event a success. Tom was outstanding. He even learned a family favorite song for our wedding reception. He was on time and professional plus he kept people dancing all night. I asked him to stay longer and he was more than willing. Most importantly he let me sing sweet caroline. Good times. All the greatest dance music, old and new!